Get informed about all things Level by perusing our latest blog posts. Submitted by Lisa Del Col on Oct 31, 2018. Level is exited to announce that it is a recipient of a Law Foundation of Ontario (LFO) grant in the amount of $71,250 through the LFO's three year Catalyst Grant Program. The funds will be used to further empower Indigenous youth across Ontario through Level's Indigenous Youth Outreach Program (IYOP). Submitted by Lisa Del Col on Oct 15, 2018. Level is thrilled to announce the release of the Indigenous Youth Justice Toolkit, a resource created for Indigenous youth, led by Indigenous youth! 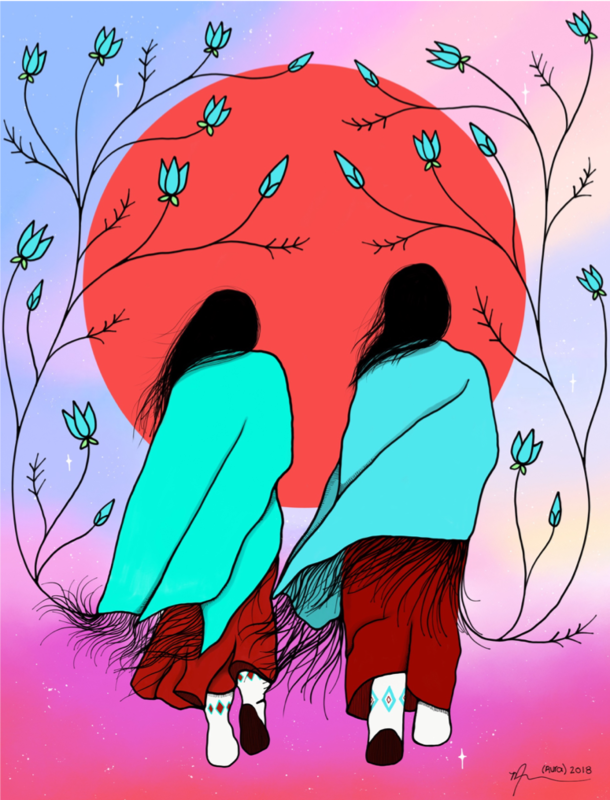 The Indigenous Youth Justice Toolkit is a resource for Indigenous youth to navigate the justice system that incorporates traditional teachings and youth artwork. Please read below for more information. Submitted by Tristan on Oct 10, 2018. Coming off the highs of a successful launch year, we're back and better than ever! After months of hard work assessing and and tweaking the program based on feedback from our student mentees and legal professional mentors, we are excited to announce that our 2018-2019 Blazing Trails Mentorship Program is now open for applications! Apply here before November 4, 2018 a 11:59 p.m. Submitted by Tristan on Oct 01, 2018. Nearly a month ago we announced that we selected “Environmental Justice” as our annual human rights theme for 2018/2019. At that time, we provided a brief overview of the history of the modern environmental justice movement. It is now with great excitement that we officially share our 2018-2019 Chapter Theme Report: “Environmental Justice in Canada”! Through its Human Rights Research and Advocacy Programming, our Environmental Justice theme report will help activate Campus Chapters at law schools across the country in a concerted effort to raise awareness of the impacts of environmental discrimination in Canada’s marginalized communities. Particular attention will be paid to the impact of climate change, air pollution and access to food and water in indigenous communities. Welcome Back! Chapter Executives Outline their Goals for 2018/19! Submitted by Kenya-Jade Pinto on Sep 03, 2018. The days are getting shorter, clothing stores are bringing out their fall sweaters, and twenty-somethings are moving into their new apartments. This can only mean one thing: it’s back to school season. For some, this means the joy of starting a new year. For others, it’s the fresh start of an exciting internship. And for some of the folks we're lucky enough to work with, it’s equal parts excitement and anxiety about beginning their law degree. For over a decade, law students across Canada have been working with Level to advocate for equitable and accessible legal systems. Level’s student chapters have led many exciting projects, from networking events to panel discussions and conferences. They have produced exceptional research--exploring the leading issues facing Canada’s justice system, from refugee rights to sustainable development. Submitted by Kenya-Jade Pinto on Aug 31, 2018. Level is delighted to announce that we have selected “environmental justice” as our annual theme for 2018/2019! Today, recognizing and speaking out against environmental injustice is as important as ever. Unfortunately, we still live in a time where a significant number of First Nation communities in Canada are faced with boil water advisories and the effects of climate change on people can be seen and felt more than ever before. Additionally, waste by-products, mercury leaching, and a lack of access to nutritious foods disproportionately affect Indigenous and racialized communities. Submitted by Kenya-Jade Pinto on Aug 13, 2018. Yesterday, August 12, was International Youth Day, a UN initiative to highlight the leading issues impacting young people. While the youngest generations are facing global crises from climate change to mass migration, they are standing up with the confidence and leadership to make substantial change. This Youth Day, we at Level are celebrating some of Canada’s most impressive young people, who challenge social norms, break glass ceilings, and represent their communities as true leaders. We hope you’ll be just as inspired as we are! Level Hosts Another Successful Program Delivery with Northern Youth Abroad! Submitted by Kenya-Jade Pinto on Jul 31, 2018. For the third year in a row, Level has partnered with Northern Youth Abroad (NYA) to deliver a condensed two-day version of our IYOP workshop to Indigenous youth between the ages of 15-21. NYA is an organization cultivating youth leadership and cross-cultural awareness where Indigenous youth from Nunavut and the Northwest Territories spend several weeks exploring different parts of Canada. Throughout the program, the youth learn about history and culture, develop leadership skills, and engage in various volunteer projects. Last Thursday and Friday, Level hosted an IYOP workshop in Ottawa with the sixteen youth participating in this year’s NYA Next program. Submitted by Kenya-Jade Pinto on Jul 20, 2018. In 2016, the Liberal Ontario government unveiled an updated curriculum that would include Indigenous history for elementary and secondary schools. The program, crafted in collaboration with residential school survivors, First Nations, Métis and Inuit partners, was considered a step forward both in the province’s education system and their commitment to reconciliation. Submitted by Kenya-Jade Pinto on Jul 13, 2018. On June 22, Level volunteer Maitland Shaheen attended the Luminato festival's presentation of Amal Clooney in Conversation with Nick Clooney. The Clooneys shared their thoughts on the state of justice in 2018, the global impact of the international refugee crisis, and the positive impact of feminism and youth engagement. Submitted by Kenya-Jade Pinto on Jun 15, 2018. In 2017, the Right Honourable Beverley McLachlin retired from her role as Chief Justice of Canada, after an impressive 17 years on the bench. As the first woman Chief Justice (and the longest serving!) students, lawyers and legal professionals have much to learn about law and life from the former Chief Justice. Submitted by Kenya-Jade Pinto on Jun 07, 2018. June is National Indigenous History Month and we are proud to celebrate the vibrant cultures, unique histories, and crucial contributions of Indigenous peoples to the development of Canada. It is also a time for all Canadians to critically reflect on how we can collectively advance reconciliation—a process that involves acknowledging and repairing harms, rebuilding and forging new relationships, healing, and finding new ways forward.